Both CAC built Rolls Royce RA.3 Avon Mk. 1 engines [serial numbers CAC-26, CAC-27] fitted at Government Aircraft Factories, Avalon. A84-225 was the first Canberra off the line to incorporate the following mods. Basic Weight ‑ 21,945 lb. First pilot pre‑flight by Bill Scott [GAF Test Pilot] noted problems with engines, brakes and undercarriage. Scheduled first flight by Flg Off Doug Cameron and Ted Barden [GAF Test Observer] abandoned because of fuel leaks and oxygen warning light. First flight [2 hr 35 min], by Bill Scott, Doug Cameron and Ted Barden noted following problems: engine RPM out of adjustment, brake difficulties, flaps operated too fast and with asymmetric retraction which caused a/c to roll to left, No 3 fuel tank gauge fluctuated, VHF radio was too weak, ADF was too noisy and the HF was intermittent plus other lesser problems. Test Flight No 2 [1 hr 35 min] by Bill Scott and Ted Barden. Tip tanks fitted for this flight. Engine acceleration times too slow and bleed valves closing at too high an RPM. Brakes still troublesome and hydraulic fluctuations were evident in main system. Test Flight No 3 crewed by Bill Scott and Ted Barden [2 hr 35 min]. Engine bleed valves still troublesome and assymetric flap retraction problem returned but this time the aircraft rolled right during the retraction phase. Test Flight No 4 [1 hr 30 min] by Flg Off Doug Cameron, Ted Barden and Rex Whalley [GAF Flight Test Observer]. Engine problems had not been solved and some of the radio problems resurfaced. All aircraft grounded as a precaution as a result of finding faulty alloy material in use for mainplane construction. Test Flight No 5 [2 hr 5 min] by Flg Off Doug Cameron and Rex Whalley but the engine problems still persisted. 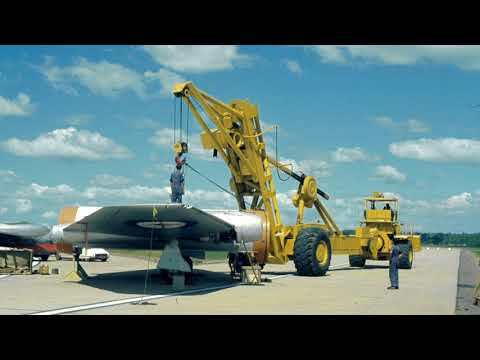 The delay with test flight number 5 was a programme of modification incorporation. Test Flight No 6 - Cameron and Whalley [2 hr 10 min] electrical problems. Test Flight No 7 - Cameron, Whalley and Barden [2 hr 25 min] electrical problems. RAAF acceptance flight by Flg Off C. M. "Avro" Anson and W Off P.J. McDonald. Handed over to 1 Aircraft Depot at Laverton after pre-service mods. Ferried to No. 82 Wing Amberley. Departed for Washington U.S.A. on a goodwill visit with four other RAAF Canberras led by Gp. Capt. Douglas [Operation Bala Lagin]. Canberras were escorted by a USAF C-124 Globemaster 51-127. 225 was flown by Flt Lt R.H. [Bruce] Martin and Flg Off R.S. [Bob] Black except the Guam/Hickam leg which was flown by reserve crew of Flg Off J.A. Jacobs and FSgt T.D. Wright. Returned from Operation Bala Lagin. Until 18JUL56 Deployed to RAAF Williamtown for weapons demo to School of Land Air Warfare [SLAW] Crew: Flg Off J.A. Jacobs/ FSgt P.B. Kerr. On return flight established a record time Perth/Brisbane of 3 hours 20 minutes 5 seconds. 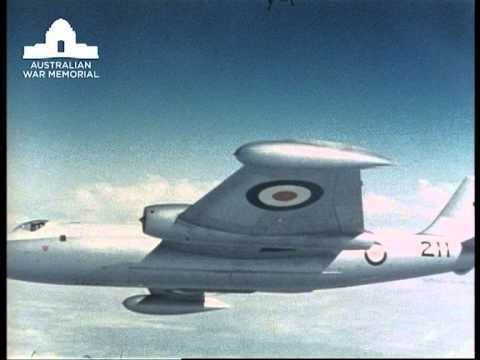 Until 14AUG56 Participated in 2 Sqn "Operation Round Australia". The entire squadron of 7 aircraft flew Amberley to Darwin on 12AUG [5 aircraft went via Townsville, 2 aircraft incl. 225 went direct to Darwin]. Darwin to Pearce on 13AUG. Pearce to East Sale and Amberley on 14AUG. 225 crewed by Capt R.P. Braner [USAF] and Sqn Ldr J.S. Latham. Capt Braner was a USAF exchange officer with 482[M] Sqn. Sqn Ldr Latham was on staff of 82 Wing HQ. Operation "Spot On", the annual 82 Wing Bombing Competition between Nos 2 & 6 Sqns commenced. A84-225 crewed by Flg Off Russ Anderson and Flt Lt Pete Fletcher [RAF] helped to retain the Bladin Trophy for No 2 Sqn. Departed Amberley along with two other 2 Sqn Canberras for the Armed Forces Day display in Manila. 225 was crewed by Wg Cdr A.E. Cross [CO 2Sqn], Flt Lt M.M. Alexander and Sgt Latham. Until 12JUL57 participated in the first 2 Sqn mobility exercise with a deployment to Pearce. Usual procedure was to nominate a time limit for becoming airborne after receipt of order. Initially 225 went u/s but the crew, Sqn Ldr H.W. Connolly DFC and Bar, DFC [US] and Flt Lt N. Rodgers managed to get airborne with only minutes to spare before the 12 noon deadline. Operation "Oxcart". Seven 2 Sqn and five 6 Sqn Canberras provided 16 sorties in simulated attacks on Sydney to test the radar and fighter defences. Primary target was the Sydney Harbour Bridge. A84-225 flown by Sqn Ldr H.W. Connolly [his last flight for 2 Sqn before proceeding on posting] and Flg Off Gillard was credited with being the only 2 Sqn aircraft to penetrate the defences without being intercepted. Performed solo air display during Air Force Week at RAAF Fairbairn. Crew: Flg Off J.A. Jacobs/Plt Off T.A. Morten. Ferried to GAF Avalon for modification C.280 [associated with trials of Avon Mk 101]. Ferried to No. 1 Aircraft Depot, Laverton, for issue to ARDU. Fitted with two CAC built Avon RA.22 Mk.101-VH engines [serial numbers RR387, RR741] for tests. Returned to No. 82 Wing, Amberley from ARDU Laverton. Allotted to No. 3 Aircraft Depot for "E" service. Re-allotted to No. 82 Wing on completion of "E" service. Repainted with the new RAAF kangaroo roundel which was formally adopted on 2 July 1956. Port undercarriage flipper door damaged. Ferried to Avalon via Canberra with undercarriage down. The flight lasted for 4 hours. At Avalon the damaged flipper door was repaired and other modifications incorporated. Also the Avon Mk.101 were replaced by Avon Mk.1 engines. First of seven test flights. Ferried from GAF Avalon to Amberley [1 hr 50 min] by Sqn Ldr H.W.C. (Herb) Thwaites and Flt Lt C. (Col) Clare and handed over to 1(B)OCU. Flown to Avalon for further mods. 1(B)OCU was operating out of RAAF Garbutt, Townsville with No 11 Canberra Conversion Course because of works on the main runway at Amberley. A84-225 was included in the deployment. Returned to Amberley after Garbutt deployment. Flown from Darwin to Pearce. Ferried to RAAF Fairbairn by Flt Lt C.T. (Trevor) Kilian and Flt Lt T.B. (Bruce) Hunt and handed over to the Chief of the Air Staff, Air Marshal Hancock who, with Flt Lt Hunt flew 225 to RAAF Edinburgh where they remained overnight. 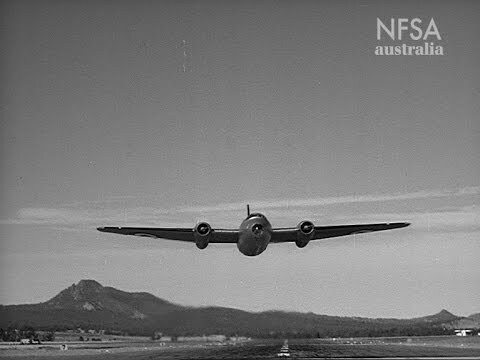 Returned to Canberra where, with Flt Lt Hunt, flew local training flights on 22/23 AUG.
Flt Lt Kilian and Flt Lt Hunt flew 225 to Williamtown to act as target aircraft for Mirage radar trials. Featured as static display at the Air Support Unit, RAAF Williamtown and departed for Amberley late in the afternoon. Flown to Ohakea, N.Z. by Flt Lt Kilian and Flt Lt Hunt as part of a "Lone Ranger" exercise. Flown to RAAF Pearce by Flt Lt Kilian and Flt Lt C. (Clem) Whitely to participate in Air Force Week Air Display on 13SEP. 225 provided a solo handling display and also participated in an "air race". "Australian Air Log" records that 225 was carrying No 1 Sqn gold fin flash. Flt Lt Kilian and Flt Lt Whitely provided a solo handling display at RAAF Richmond's Open Day Air Force Week Display. While taking part in a pairs take-off, A84-225 swung violently to starboard after brakes release. Problem was caused by failure of the governor pump driving shaft which prevented the starboard engine inlet guide vanes from opening and thus developing power. Pilot was Flt Lt D. (Dave) Middleton, a member of No 17 Canberra Conversion Course. Painted in camouflage by 3AD Amberley. Received at 3AD for E service. Received at 82 Wing ex 3AD. Noted in Port Moresby on exercise [Short Finish?]. Received at ARW, Parafield for corrosion checks, repairs and mods. Returned to 82 Wing, Amberley. Received at No 1 (B) OCU, Amberley. Received at ARW, Parafield for incorporation of Mod 690. Despatched to No 1 (B) OCU, Amberley. Allotted to 3AD for E service. Allotted to No 1 (B) OCU. Fitted with target towing equipment. The target towing equipment was rather rudimentary and did not involve anything as sophisticated as a winch. A steel stanchion was fixed to the belly of the aircraft on the centreline aft of the bomb bay. A 1500 foot steel cable was attached to the stanchion with a shear link and an explosive bolt. The other end of the cable was attached to an aluminium spreader bar which was fitted with small wheels. The target banner was then attached to the spreader bar. The cable and banner were laid out at the beginning of the runway and the aircraft taxied into position where an armourer attached the cable to the aircraft and armed the explosive bolt. 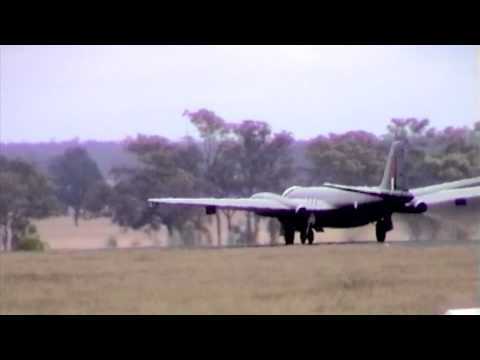 The Canberra then made a steep take-off with the banner in trail. At the conclusion of the sortie, the aircraft would fly down the runway at 500 feet and drop the cable and banner by activating the explosive bolt. Fitted with smoke trail equipment. Deployed to Butterworth Malaysia under the command of Pilot Officer R.J. Wood. During a subsequent target towing sortie from Butterworth, the Canberra was under the command of Peter Rhodes (later to become a B747 Captain with Air New Zealand). When it was found impossible to release the cable and target banner, Rhodes flew low over the sea so that the banner would drag in the water and break the shear link in the cable at its attachment to the aircraft. As expected, the pilot felt a tug and assumed that the banner and cable had separated. It transpired that the exercise had merely pulled the banner off the end of the cable and 225 landed back at Butterworth with the cable in trail! Returned to Australia via Tengah under the command of Plt. Off. Wood. Returned to Amberley (flight time 3hrs. 50mins.). Aircraft was holed above the starboard bomb door. Last flight for A84-225 3hrs. 10mins. During routine ultrasonic inspection of the wing spar a suspect crack was found in the port centre section spar and A84-225 was removed from flying duty having completed 3395 hours 15 minutes flying with 636 landings. Allotted from No. 1 Bomber Operational Conversion Unit to No. 3 Aircraft Depot at Amberley. Engines were run for the last time and target towing equipment was removed. Aircraft allotted to Dept. of Supply for disposal. Sold to the Queensland Branch of the Aviation Historical Society of Australia which later became the Queensland Air Museum. Moved by road to Pioneer Valley Park Kuraby Qld. The aircraft was officially unveiled as QAM Exhibit No 1 by Air Commodore C.H. Spurgeon (O.C. RAAF Base Amberley) during a ceremony (in a torrential downpour) at Kuraby. This marked the inauguration of QAM. Slightly damaged in storm at Kuraby. Worst of damage was a small puncture under the right tailplane. Moved on trucks to Caloundra. Work began to repaint aircraft in No. 1 Sqn. marks. The aircraft was moved into Hangar 2 and a complete repaint commenced. This was a significant achievement as it was the first time that the aircraft had been under cover since QAM acquired it in 1973. The aircraft has been displayed under cover ever since. Added details of the return of the original damaged bomb bay door. Added an aerial photograph of Pioneer Valley Park, Kuraby showing the location of the Canberra. Added a description of the target towing equipment. Thanks to John Bennett. Added an image of the aircraft as a target tug at Butterworth in 1970. Thanks to John Bennett. Added three images of the aircraft in camouflage with white serials. Thanks to Trevor Millard. Added a separate page on the TAA Extortion. Added front page newspaper reports on A84-225. Added more information on the starter disintegration incident on 14NOV63 thanks to Wal Walters. Added a reference to the unveiling on 02JUN74. Deleted reference (25SEP70) to the demise of Bob Howard as the circumstances previously quoted were incorrect.